Enforcing your pet policies and procedures is now made easier by using Seton’s Pet signs. 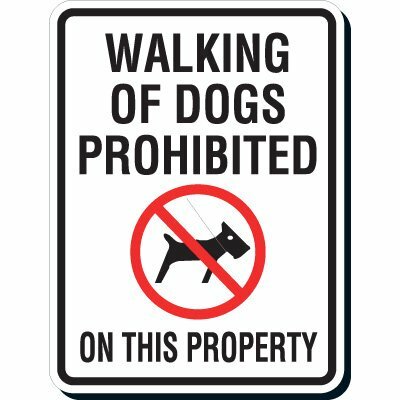 Part of our large selection of property signs, these pet control signs contain easily understood wordings and graphics to help you provide people with a clear reminder about your facility’s pet policies. 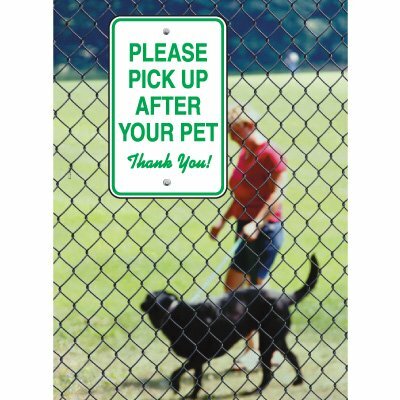 Available in different materials, including rigid plastic and tough aluminum, these Pet signs are suitable for indoor or outdoor use. You also have the option of upgrading your signs with Seton UltraTuff™ overlaminate. This overlaminate feature can give your pet control signs better protection against chipping, fading, abrasion, and other factors that may affect the service life and performance of your signs. Water contamination, property damage, and pet waste problems are the usual issues that may arise if you don’t have concrete pet rules for your facility. Minimize these pet related problems by keeping people constantly aware of their pet responsibilities. Posting Pet signs in and around your facility will serve as a constant reminder of the pet rules that you have in place. Seton’s selection of pet control signs come in different sizes and are pre-printed with standard wordings and easily understood graphics. Some people do not use these signs due to the fact that these sometimes detract from their facility's decor. These Pet signs need not to be an eyesore. At Seton, we carry designer property signs that will complement your facility’s interior while effectively relaying your pet policies. 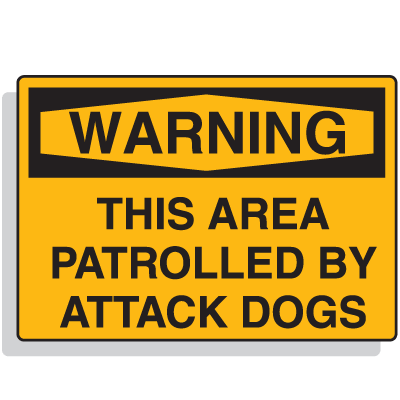 These designer pet control signs are available in different color combinations and have an upscale finish that will give off a classy and professional look. These are available with self-adhesive backing or pre-drilled holes for easy and faster installation. To maximize the use of your signs, you can also check out our vast selection of sign posts and accessories.